I've had scraps of my grandmother's mink cape sitting in a closet for years and years. She gave it to me when I was a little girl, and in my carelessness, I left it outside one day and our dog got ahold of it. Such a shame, I know, but out of it we have made several things; including these stockings. Here are some quick directions on how to make your own! Cut your stocking shape out of your fabric of choice, and be sure to make it big to allow for the half-inch seam. Pin the fabric inside out, and sew around the edge and turn it right-side out. Measure around the brim of the stocking and cut your fur according to size, giving yourself an extra inch or so. With the stocking right-side out, pin your fur on the inside of the stocking, with the back of the fur toward the outside. Once the fur is sewn onto the brim, flip the fur up and tack the edges together. 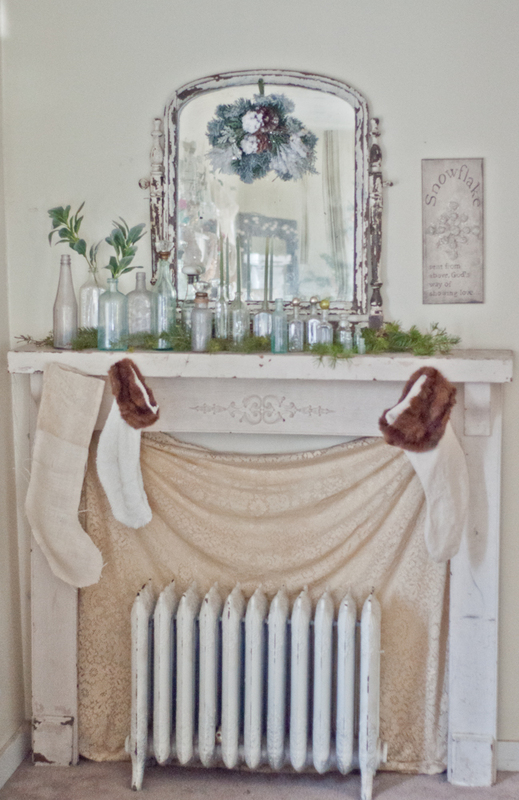 We've found some other unique stocking ideas from around the net for you to check out as well! 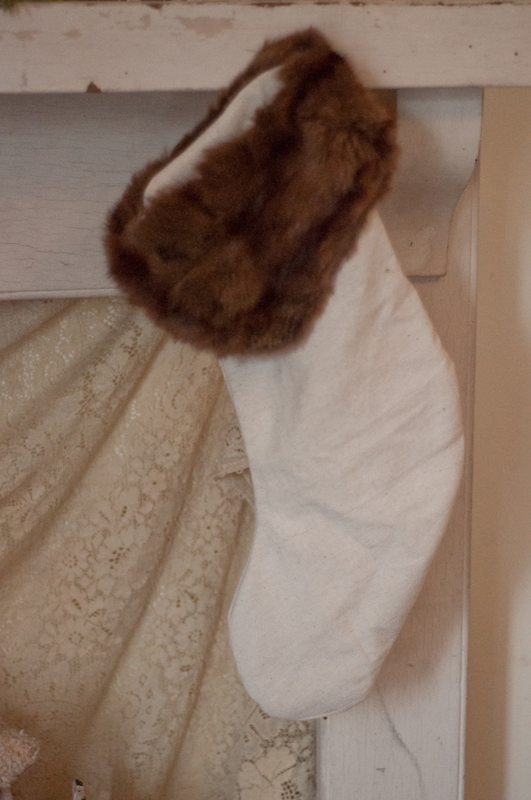 * An adorable stocking with a curled toe! * Don't like to sew? Check out these gorgeous stockings! * Burlap with black silhouettes...so adorable. * Elegant fabrics, easy execution. 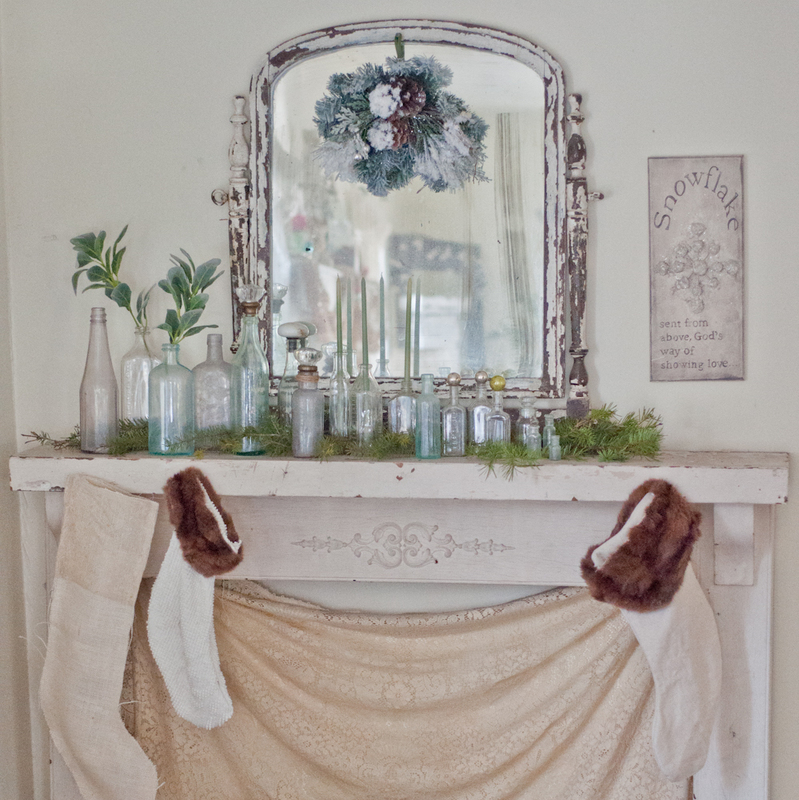 Do you have a unique stocking idea? We'd love to hear about it!